Add basic property details to the form. Submit the form and check your email. 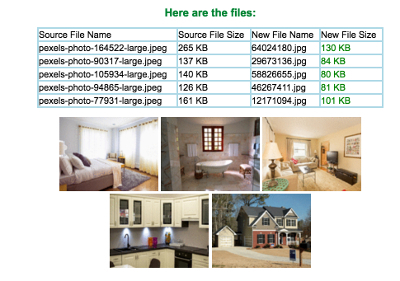 Save the email, it contains a link used to update the listing and upload images. 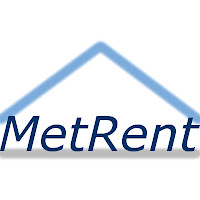 Add @metrent.com to your list of acceptable email addresses to ensure our email messages are not moved to your junk folder. There are also other useful links in the listing email. Once you submit the addListing form and receive the email, click the update listing link in the email. The brochure is in a format, ready to print on standary 8x10 paper. 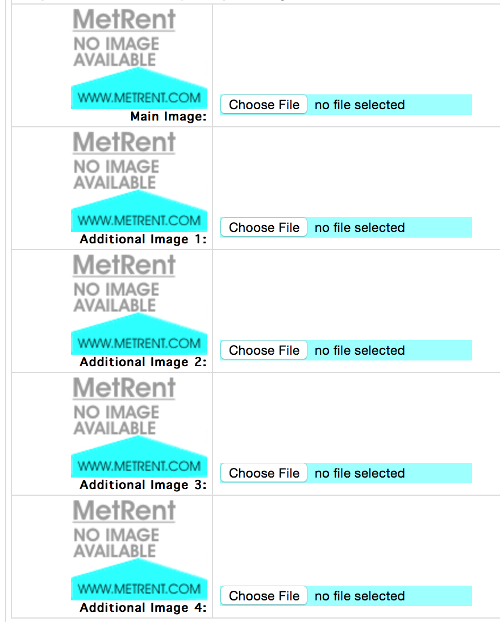 Print these out and put them where potential renters may visit. For example, Office, buletin board, for rent yard sign with brochure holder, etc. Using the social media buttons from the listing on the website you can share to any number of social media networks. You can share your listing with over 200+ social media networks, including Facebook, Twitter, Pinterest, Google, LinkedIn, AOL, Blogger, Yahoo and many more. Once you secure a tenant you will want to stop advertising the listing. 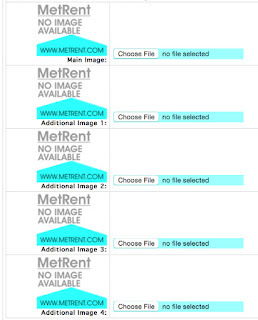 With MetRent you can change the status of the listing from Available to Occupied. This will prevent the listing from showing up in search. The listing will remain in the MetRent database and you can use the same edit listing link to change the status and start advertising the property. This is a very quick process which takes less than 1 minute. If there were any improvements, new paint, add-ons, etc. 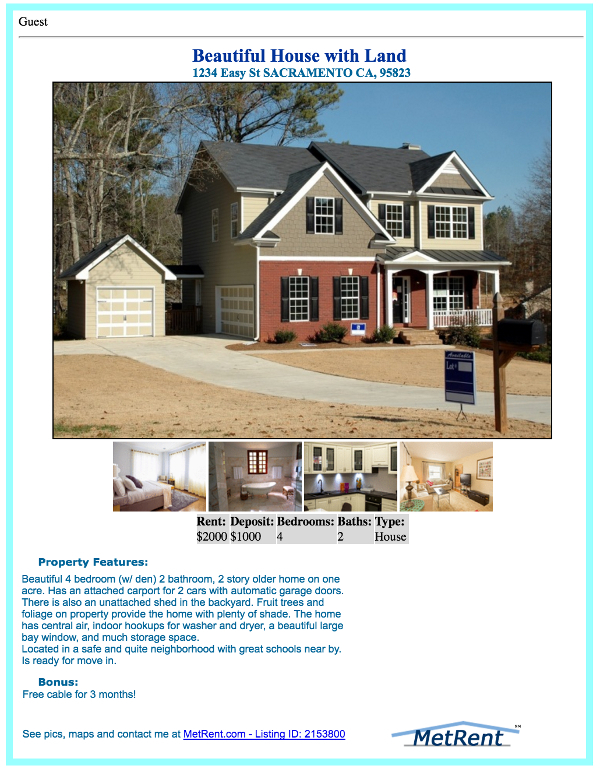 You can edit the description, # of bedrooms, square footage and price. If you have a listing in the database and have misplaced the link used to edit, please contact us so we can assist. We will switch Available listings to Occupied after 90 days to ensure stale listings do not confuse renters. We hope you find this information helpful, comments are welcomed.